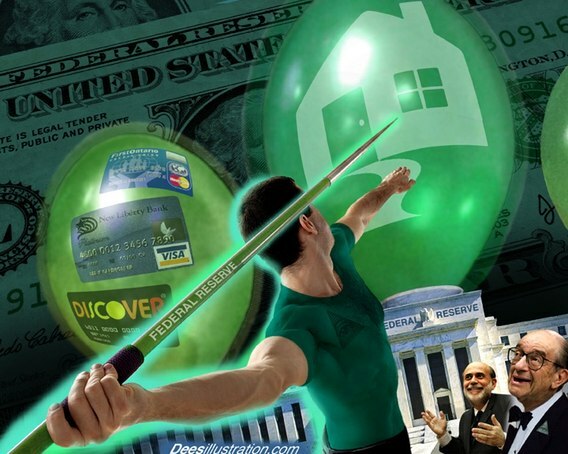 The Federal Reserve – a criminal cartel! Things have not changed since McFadden made this speech. The criminal cartel, the Federal Reserve, demanded and were granted a banker’s bailout from Congress in Oct 2008. And according to Fed Chair Bernake, the money went to foreigners . . . again. ﻿If you look at history and the recent actions of the Federal Reserve, it becomes breathtakingly obvious that nothing has changed over the past 78 years. The private Federal Reserve is still a criminal cabal engaged in siphoning off the assets and wealth of our country. And while Rep Charles Lindburgh exposed their agenda in the early 1900’s, and while we are experiencing a foreclosure avalanche, most folks still don’t understand who has been actively engaged in stealing from us and destroying our country for the past 140 years or so. According to Hagan Smith, who thoroughly researched US history and the ‘banksters’, all Presidents who attempted to regain control of US currency were assasinated or threatened with assasination, including Ronald Reagan. This entry was posted in corruption, Economics and tagged banker bailout, criminals, federal reserve, mcfadden, theft. Bookmark the permalink. Thank you for spotlighting the fact that the FED is a criminal entity.